The Samsung Galaxy Note 5 crawled out of obscurity over the past few weeks and thanks to a couple of supposedly genuine renders, one coming from @onleaks, the other one courtesy of a casemaker, we now have a pretty complete picture of the upcoming top-shelf phablet. And while those renders may be right on the money, they stick to color schemes suitable for 3D modeling. 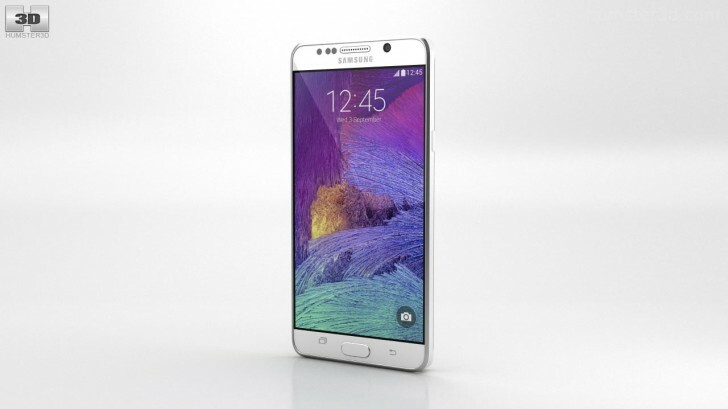 It's nice then that a bunch of people have put in the effort to make a more true to life rendition of the Note 5, based on the first render, and post it online. 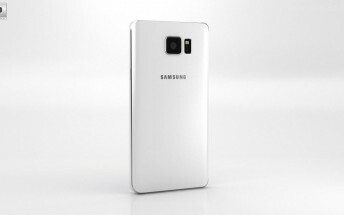 So we have the successor to the Galaxy Note 4 presented in white attire, ready for a 360-degree spin. We enjoy the near bezelless look, but the array of sensors next to the earpiece draws way too much attention to itself, now that they're not mere circles, but actual contrasting cutouts. A dark colored Note 5 will mask them better probably, but then again it may not need to as they may end up being fewer and smaller if the casemaker's intel is more precise. The earpiece itself is perhaps a bit too fat as well, but that may also be subject to change. Now, we're more than a little skeptical that the task switcher capacitive button on the left will sit higher than the back button, as the designers will have you believe, but that's likely an oversight. Either way, we may get to see the actual device unveiled as soon as August 12, so stay tuned. Thanks to John for the tip!